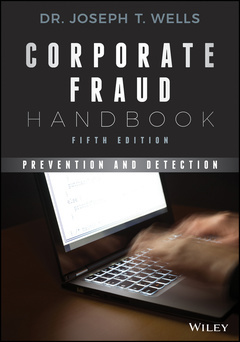 Corporate Fraud Handbook Wells Joseph T.
Add to cart the livre of Wells Joseph T.
Corporate Fraud Handbook details the many forms of fraud to help you identify red flags and prevent fraud before it occurs. Written by the founder and chairman of the Association of Certified Fraud Examiners (ACFE), this book provides indispensable guidance for auditors, examiners, managers, and criminal investigators: from asset misappropriation, to corruption, to financial statement fraud, the most common schemes are dissected to show you where to look and what to look for. This new fifth edition includes the all–new statistics from the ACFE 2016 Report to the Nations on Occupational Fraud and Abuse, providing a current look at the impact of and trends in fraud. Real–world case studies submitted to the ACFE by actual fraud examiners show how different scenarios play out in practice, to help you build an effective anti–fraud program within your own organization. This systematic examination into the mind of a fraudster is backed by practical guidance for before, during, and after fraud has been committed; you′ll learn how to stop various schemes in their tracks, where to find evidence, and how to quantify financial losses after the fact. Fraud continues to be a serious problem for businesses and government agencies, and can manifest in myriad ways. This book walks you through detection, prevention, and aftermath to help you shore up your defenses and effectively manage fraud risk. Fraud can be committed by anyone at any level employees, managers, owners, and executives and no organization is immune. Anti–fraud regulations are continually evolving, but the magnitude of fraud′s impact has yet to be fully realized. Corporate Fraud Handbook provides exceptional coverage of schemes and effective defense to help you keep your organization secure.